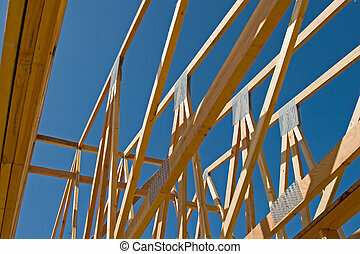 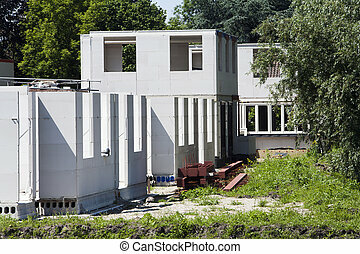 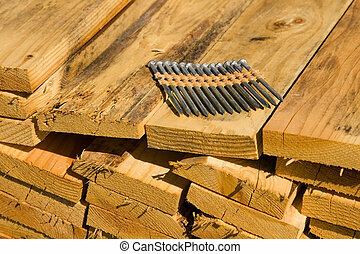 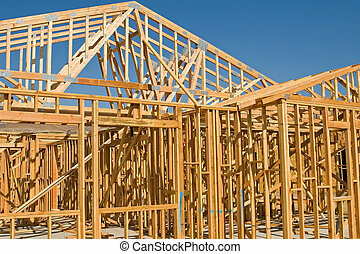 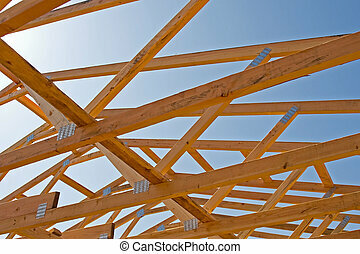 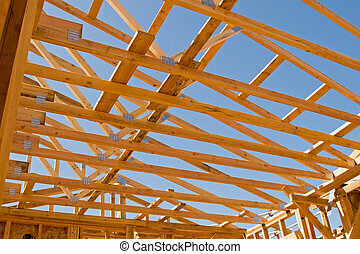 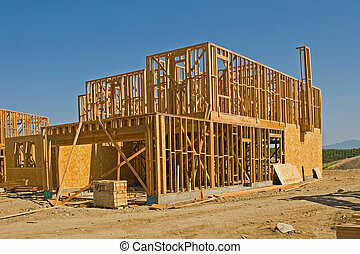 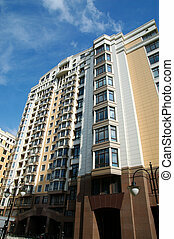 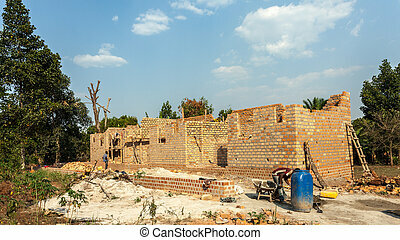 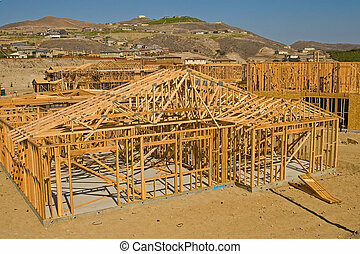 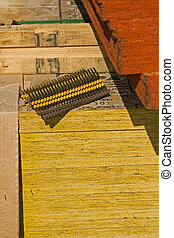 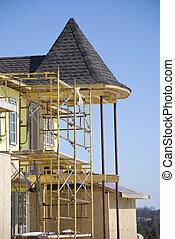 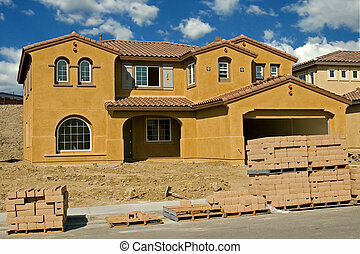 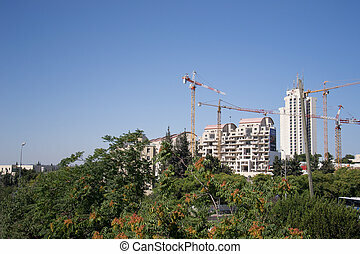 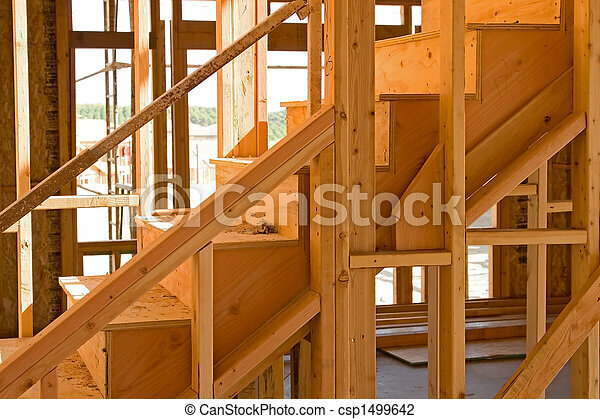 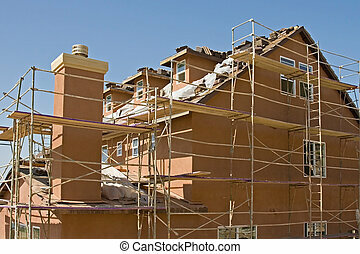 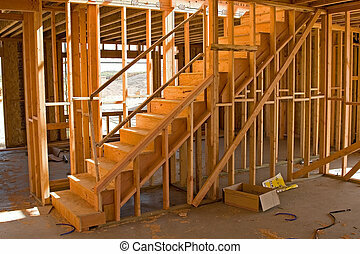 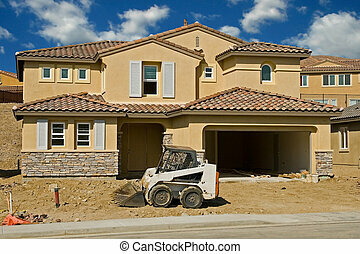 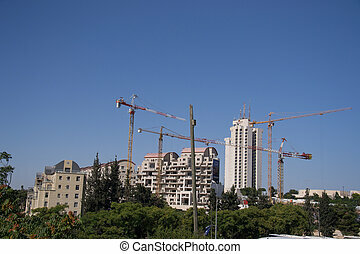 Residential construction. 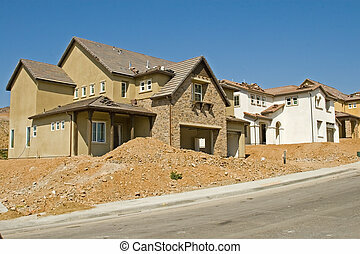 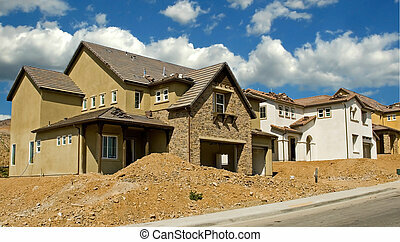 New residential construction in a subdivision of a new community. 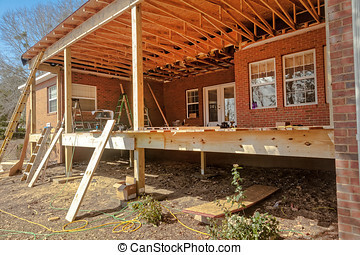 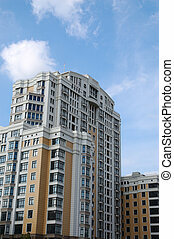 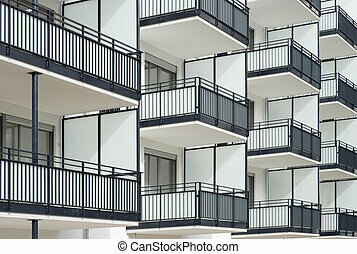 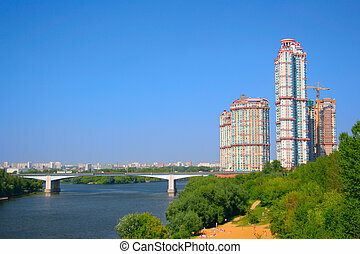 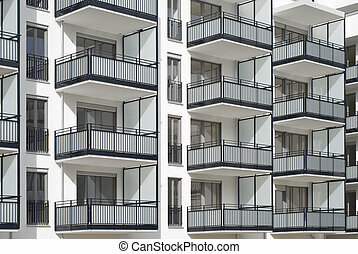 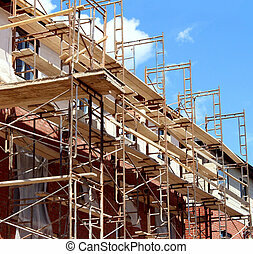 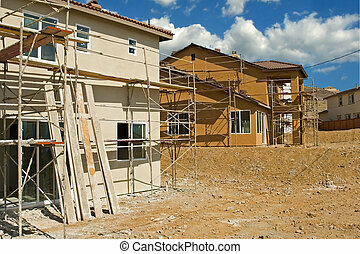 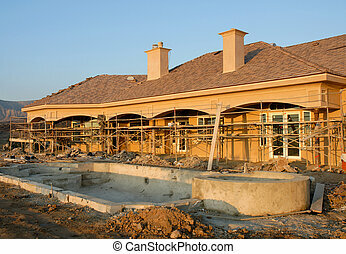 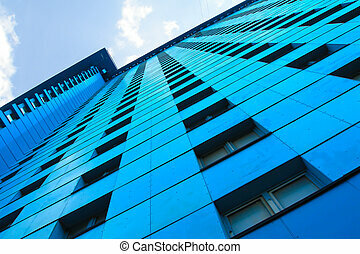 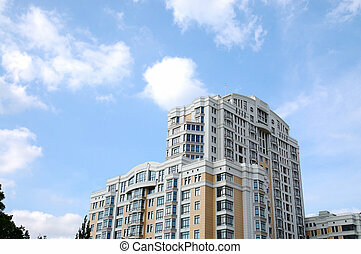 Residential construction in the process of being built as a real estate structure with metal scaffolding as a business symbol of economic investment rise with financial growth in a healthy economy.